We have a collection of Stylized Bird Illustration designs. This week I’d like to highlight another group of three from the series: Stylized Stork; Stylized Horned Lark; and Stylized Swallow-tailed Flycatcher. Each bird is drawn in simple black or white outlines. 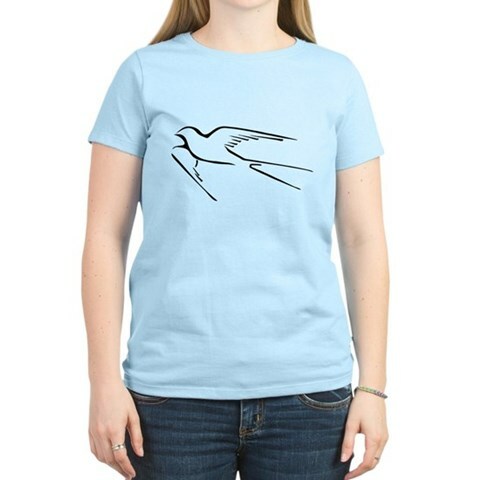 These are original, artistic bird designs that look great on a variety of our apparel styles. This entry was posted on Tuesday, October 20th, 2009 at 4:12 pm CST and is filed under T-Shirt Tuesday. You can follow any responses to this entry through the RSS 2.0 feed. You can leave a response, or trackback from your own site.